I’m discovering that it is difficult to run a blog about my crochet exploits around this time of year! I’m busy working on teacher gifts and gifts for my family but none of them are completely finished and ready to be shared. Life is also ramping up in it’s busyness. I’m face painting more, leaving less free time in my week and there are even days when *gasp* I barely get to pick up my crochet hook at all (thankfully not too many of those – phew!). However, I am plodding away on things – and lots of these gifts I won’t be able to share with you until after Christmas has passed as those recipients read this blog! 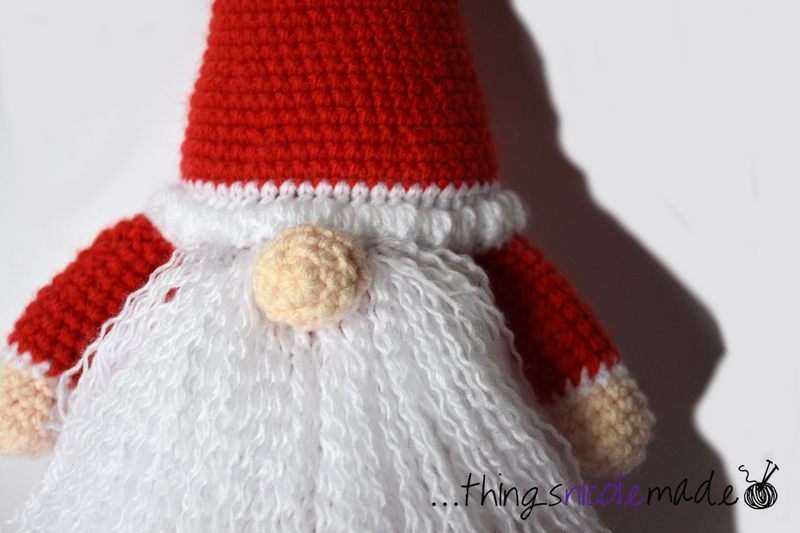 Today though, I thought I might share with you my Scandanavian Santa Gnome (https://www.1dogwoof.com/scandinavian-santa-gnome-amigurumi/). He’s finished and I love him! 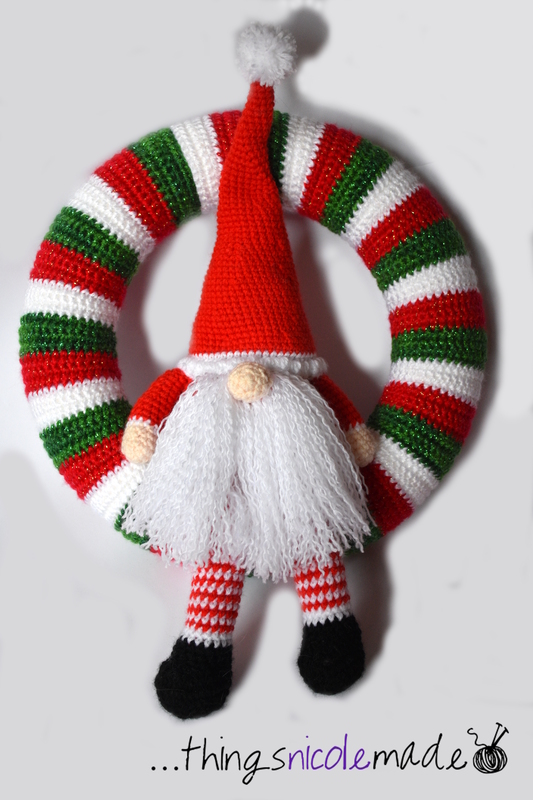 He is the perfect size to sit in my wreath, but he is weighted down with poly pellets and the jury is still out as to whether he will be too heavy and put too much pressure on the delicate foam and crochet wreath. 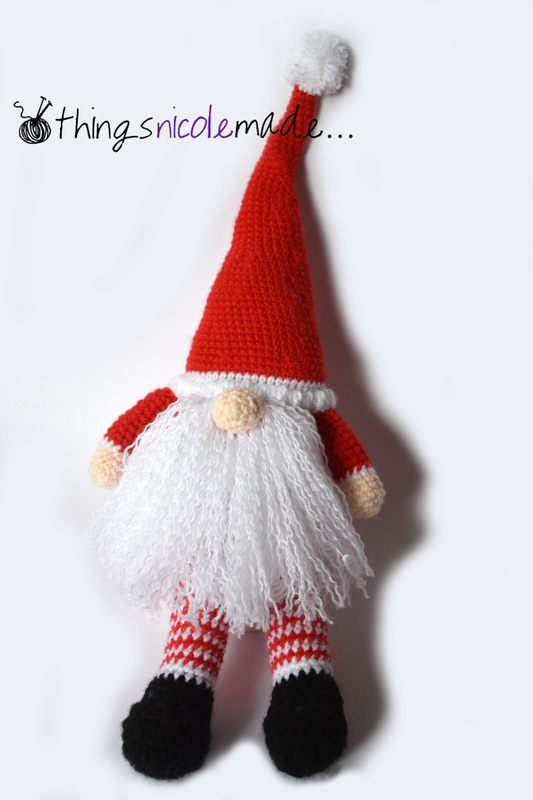 Once again, ChiWei has written a fabulous pattern, that was easy to follow and made making all the little bits a pleasure – until I got to the beard. Oh my, how I hated that beard. I thought it wouldn’t take too long, but splitting all of those pieces of yarn took F O R E V E R! However, I am thrilled with the finished product and wouldn’t change a thing! Christmas is fast approaching, and we are well on the way to being in the swing of things. We’ve started listening to Christmas music, and our plans are to put the Christmas decorations up next weekend, so we are looking forward to that (especially my girls – it’s gonna be fun!) and our Santa Gnome will finally find his place in our home for the yule season!